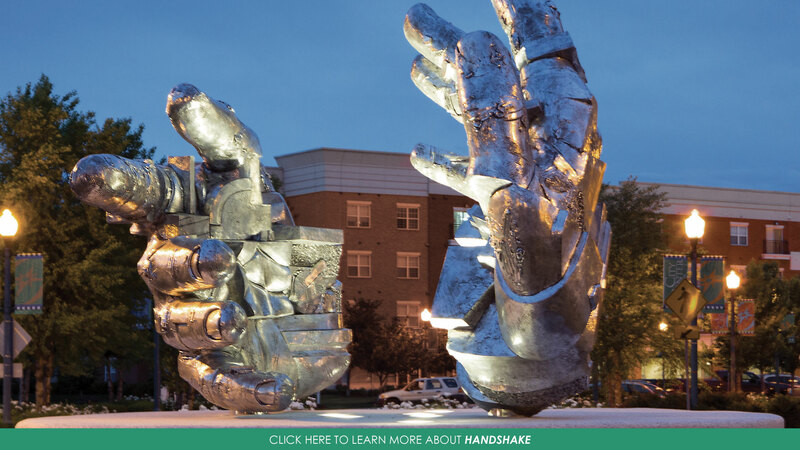 The Newport News Public Art Foundation is dedicated to helping make Newport News an appealing place to live, work, visit and do business by placing monumental-scale works of art by respected sculptors throughout the city, where people can enjoy art as they go about their daily lives. 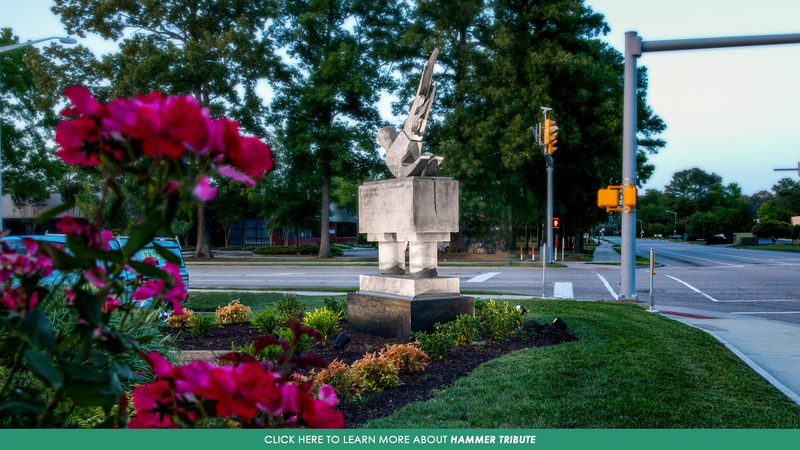 The Foundation also works to encourage and help the public enjoy, appreciate and engage with the sculpture around them, through outreach and education programs. 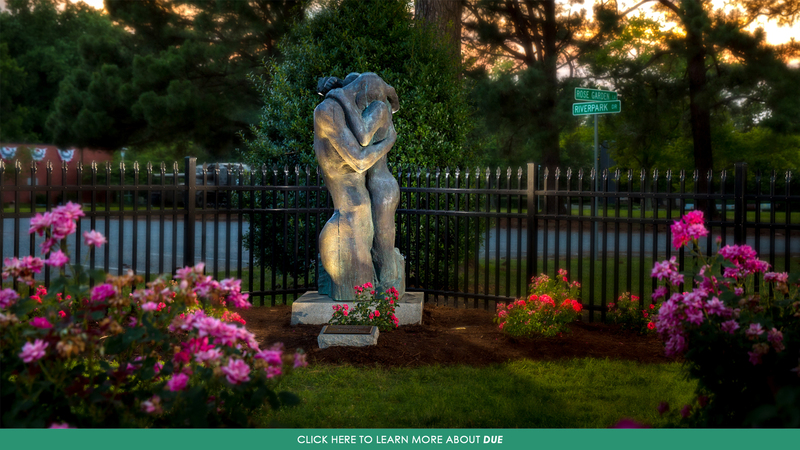 Like the city it serves, the sculptures of the Newport News Public Art Foundation are diverse. Some are figurative, some abstract; others feel very contemporary and some bridge the territory in between. NNPAF has over a dozen projects completed and many more in various planning stages. 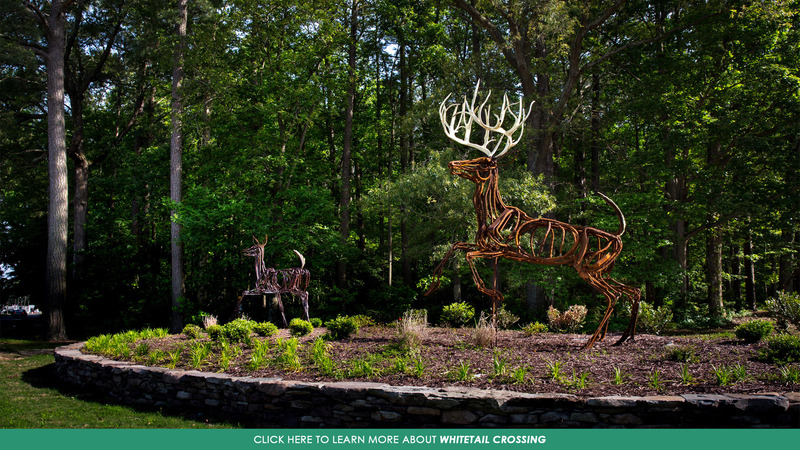 We’re all about our community looking good … and we’re looking to you for help. Find out how your donation can help NNPAF! 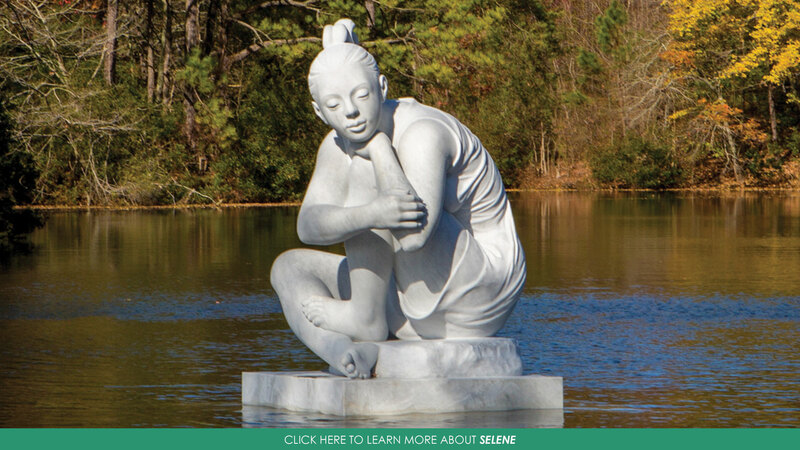 We’ve upgraded Selene’s lighting to LED to give her a beautiful glow in the lengthening evenings on Kettle Pond.